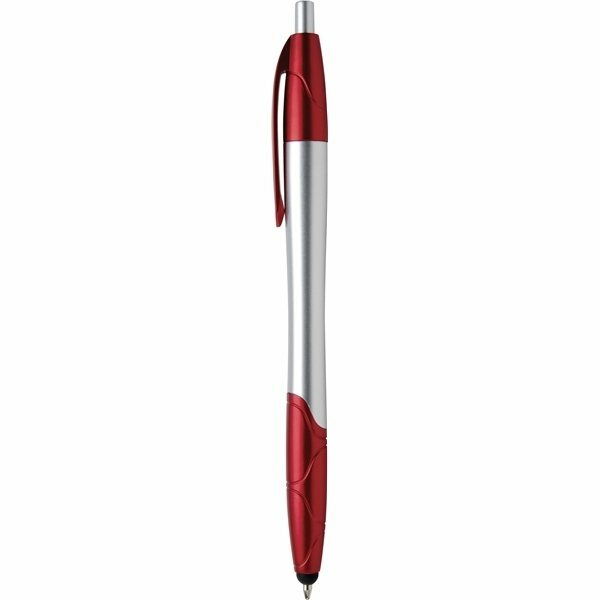 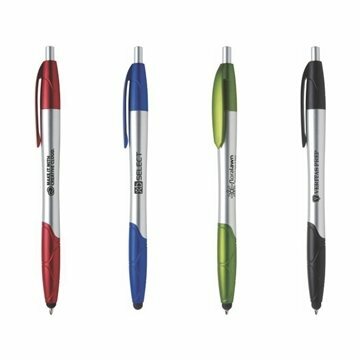 Platinum tone barrels with metallic trim and handy stylus tip make this promotional pen stand out. Contoured barrel with patterned accents fits perfectly in the hand. 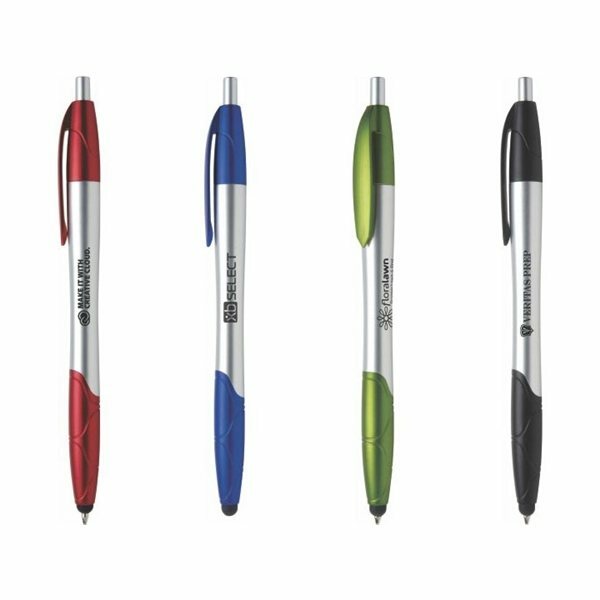 Vivid colors make a bold statement.